You can have the smile you’ve always wanted with porcelain veneers. Dr. Kim Daxon uses the latest and highest quality porcelain materials for natural-looking and feeling-results. Veneers are made of very thin dental porcelain that reflects the light just like natural tooth enamel making them virtually indistinguishable from your natural teeth. In fact, our veneers look so much like natural teeth that no one will even know you have them – they’ll just notice your beautiful smile! Dr. Kim Daxon has the artistic talent and professional expertise to create beautiful natural-looking results with porcelain veneers. Our process involves three key steps: Planning, Preparation and Implementation. The key to all successful cosmetic dental procedures is proper treatment planning.  Each patient is given a comprehensive evaluation which includes a thorough physical examination of the head, neck, jaw, mouth and teeth. Using digital photography and imaging, Dr. Daxon can help you visualize what your results will look like. We start the process by fitting you with temporary veneers, made of plastic. The temporaries are sculpted to the exact shape, size, width and length giving you an opportunity to give your veneers a “test drive” to make sure they are exactly what you want. Once you’ve approved your temporaries, we take an impression so you know exactly what you are going to get. There are no surprises – your veneers will feel and look just like your temporaries. The porcelain veneers will be crafted by hand at one of the nations top dental laboratories, made of the finest dental porcelain. The final phase of the porcelain veneer process is bonding. Once the veneers arrive from the lab, we’ll have another appointment to check the fit and touch up the color to match your natural teeth. Then Dr. Daxon will clean the teeth and apply a bonding cement that reacts with special curing light for a permanent fit. With proper care, your porcelain veneers will last for years and years. Veneers are highly resistant to stains from food and drink so your smile will stay youthful and beautiful. You can continue with your normal dental care routine to keep your teeth healthy. Find out if porcelain veneers are right for you. Contact Daxon Dentistry today. Visit our Smile Gallery to see actual patient photos.